Everyone with a mobile phone has probably experienced that dreaded moment when the battery goes dead. If we’re lucky, it doesn’t happen just when we most need to make an important call. But if it does, NextOfKin Creatives wants to give everyone a way to call for help. 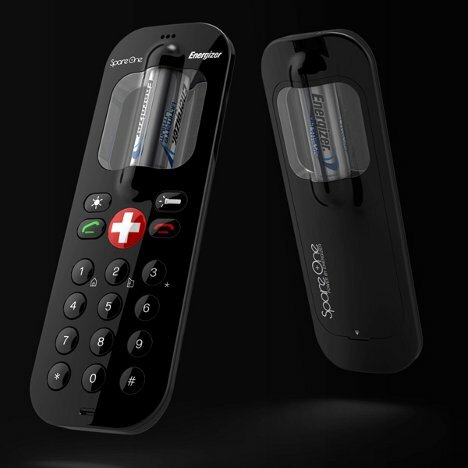 The SpareOne mobile phone concept is a spare cellular phone that would be good for only very limited use: up to 10 hours overall. Its appeal lies in the fact that it could be stored for up to 15 years before it is used, making it ideal as a part of your emergency kit. At a projected cost of $50, you could probably afford to keep one tucked away. 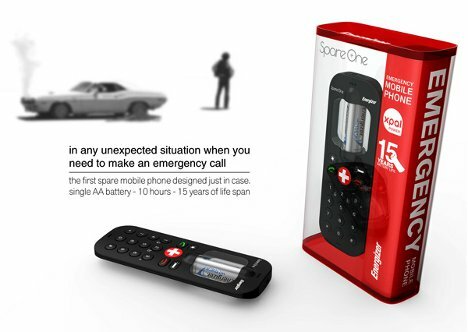 Rather than the traditional rechargeable battery, the SpareOne runs on a single AA battery. Because it doesn’t do anything fancy, it doesn’t need a lot of power. 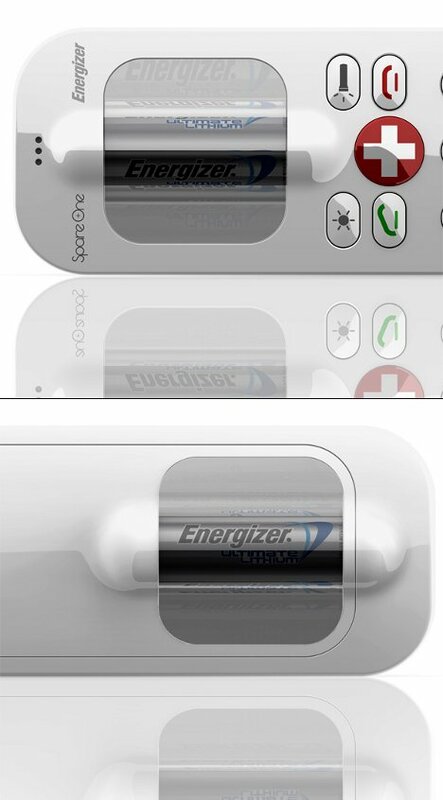 The phone has no screen; instead, where the screen would be is clear plastic showing the battery inside – a bit of tongue-in-cheek design sensibility. 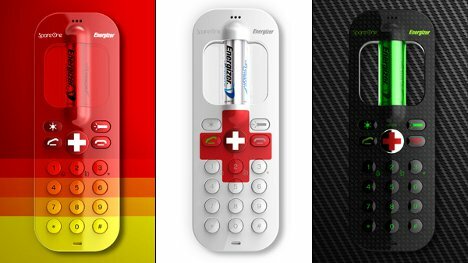 According to the designers, the emergency phone would have a shelf life of up to 15 years. 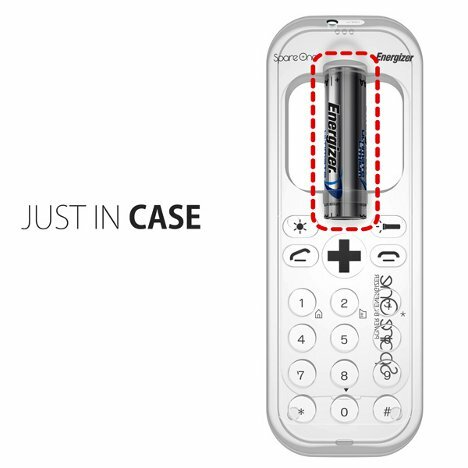 Given that extremely far-off expiration date and the projected affordability of the phone, you could keep one in your car and one at home just in case disaster strikes sometime in the next decade and a half.